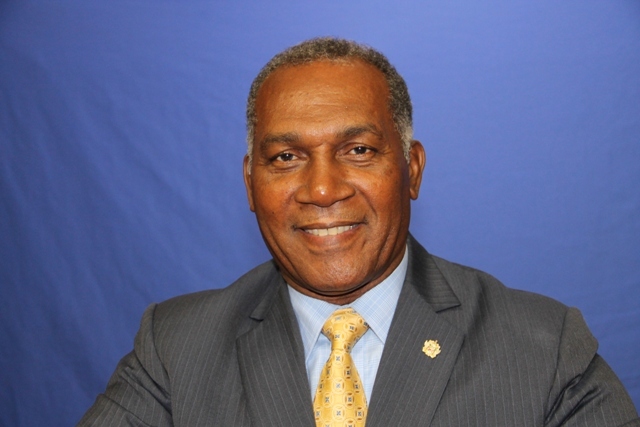 NIA CHARLESTOWN NEVIS (JANUARY 01, 2016) — The following is the full text of the 2016 New Year’s message delivered by Premier of Nevis Hon. Vance Amory on January 01, 2016. My fellow Citizens, Residents and friends at home and abroad, I greet you on this the first day of 2016 wishing all of you a happy and prosperous New Year. The New Year provides a time for reflection. It also gives the opportunity for us as individuals to take stock of ourselves, focus on our failures and successes and to re-assess personal goals. Collectively, it offers us the chance to assess how far we have come as a nation in re-affirming our ideals. The New Year is also a time for renewed hope, when we as a people resolve to make our good, better and our better best. I take this opportunity to thank all of you my fellow citizens for the sacrifices you have made throughout the past year in helping your country to remain on a sustained path of economic growth and development. I wish to express special words of gratitude to our civil servants, who have worked tirelessly throughout the year and have performed their duties with distinction. I must also thank those in the hospitality industry, our farmers and our vibrant private sector for helping our country to achieve the tremendous growth we registered in 2015. Despite the setbacks, shortcomings and challenges we faced during the past year, let us all forge ahead in the New Year and be thankful for the wisdom and experience we have gained. I trust that we as a people, would have emerged out of 2015 stronger and more united, focused and more committed in ensuring that our nation is replete with peace, stability and security. 2015 proved to be a year of great achievements and accomplishments for our people and our nation. Culturama 41 was a success story. It was a grand celebration of our rich African Heritage, our vibrant culture and our natural talent and creativity. Truth be told, Culturama 41 exceeded all of our expectations. In the world of sports as well, 2015 proved to be a historic year for us. It was the year in which we hosted the FIFA [Fédération Internationale de Football Association] Women Under 17 World Cup qualifying football competition. Host, St. Kitts/Nevis, Trinidad and Tobago, British Virgin Island and Dominica all battled at the Elquemedo Tonito. Willett Park to earn a spot at the next World Cup. This tournament proved to be a sporting milestone for our island, even though our team did not advance. The past year was also a successful year for the students at our secondary schools. It was a year in which we witnessed an 81 percent pass rate at both CSEC [Caribbean Secondary Education Certificate] and CAPE [Caribbean Advance Proficiency Examinations]. Improvement in the pass rate of subject areas such as Mathematics and English A were also realised. We celebrate our top student Mr. Tyler Martin for the best CAPE result, Miss Nekhaila Tyson best CSEC student at the CSS [Charlestown Secondary School] and Miss Derez Morton the best CSEC student at GSS [Gingerland Secondary School]. It was also an exciting year for our Tourism Industry. It was the year in which for the fifth time the Nisbett Plantation Beach Club was named to the list of theTravel and Leisure Magazine 500 World Best Hotels. It was also the only property in St Kitts/Nevis to appear on that list. The US News and World Report recognized Nisbett Plantation as number 05 of the top 10 Best Hotels in the Caribbean as well as number 01 of the Best Hotels in St Kitts/Nevis. Additionally, Four of Nevis’ hotels were named among the top 40 Resorts in the Caribbean by Condé Nast Traveler Readers’ Choice Awards 2015. They were-: Montpelier number 03, Nisbett Plantation number 07, Hermitage Hotel number 15 and Four Season Resort number 36. In the New Year, we expect an increase in the number of visitors to our shores but also additional recognition as our hotels and staff continue to provide excellent service in the Hospitality Industry. 2015 was also the year in which the Four Seasons Resort retained the prestigious and coveted status of being a 5 Diamond Resort. These accolades and achievements have all combined in making 2015 a great year for Nevis. At this juncture, permit me to congratulate the winners and other contestants from Nevis who participated in the different shows for Sugar Mas 44. Allow me to give special congratulations to King Astro, Miss Neila Jones and King Invisible (Terron Webbe) for all making history and trodding along a path rarely travelled. King Astro for successfully defending his national Senior Calypso crown and repeating as National Calypso King; Miss Neila Jones for being the first Nevisian to be crowned queen at the Miss Haynes Smith Caribbean Talented Teen Pageant and King Invisible for also being the first Nevisian to be crowned king in the St. Kitts/Nevis National Carnival Primary School Calypso Contest. Honourable mention must also be made of Miss Sidamo Jones, Mr. Nadaski Percival and the Mighty Sookie for all being first Runners-up in their respective shows. Miss Jahnel, Nisbett, the Nevis Pan Ensemble and Miss Shanika Joshua for emerging as second runners-up in their respective competitions. On behalf of the Government and people of Nevis, I extend heartiest congratulations to each and every one of you, for performing your ambassadorial duties with honour and distinction. We owe you a debt of gratitude. In 2016, we will give greater focus to our Cultural Development. It’s an area in which I believe our people can excel and which can provide economic benefits for them as they ply their trade and develop their talents. Fellow Nevisians, 2016 also promises to be a memorable year in terms of the physical development of our country and the social development of our people. Many of the development plans and projects articulated in the Budget Address, are already on stream and will manifest themselves fully in 2016. I will now look at the Economy. On the Economic front, in 2016 the Nevis Island Administration will enact legislation to govern Registered Agents in the Financial Services. We will request the Federal Government to approve the establishment of a division of the Citizenship by Investment Unit in Nevis to process applications and these will be done here to ensure that all of the applications are complete, they are correct before being submitted to the CIU [Citizenship by Investment Unit] in St. Kitts. We shall see the launch of a Small and Micro Business Programme for our young people. This will be done through our Small Enterprise Development Unit. We shall expand the TVET [Technical Vocational Education and Training] programmes for greater skills training and adult education. I am convinced, that our people can benefit from this training and can use the skills acquired to start their own businesses. In 2016, your Government will continue to partner with the Private Sector to encourage economic development and create employment for our people. The Administration will continue to give concessional support to the following private sector development projects. First of all, the 126 rooms Condo Development at Tamarind Cove; ongoing Villa Development at the Four Seasons Resort Estate; the Mount Nevis Hotel Expansion; the Paradise Palms which is a 218 room Resort Development at Paradise Estate; Butlers Estates and Residence, a villa type development situated at Butlers, the Golden Rise Villa Development at Golden Rock; the Hamilton Beach Villas and Spa; the Htrip Candy Resort in St. James and the Hurricane Cove Bungalows Development. All of these projects will add to the Tourism Industry product but will also create employment during construction and also long term employment as they come on stream as rooms are added to the tourism product. As we enter 2016, I appeal to our people to take the opportunities which will come from the employment at these investments. Indeed, 2016 will be a year in which the Nevis Island Administration gives focused attention to our infrastructural development and it will be a period in which we will remain faithful to our promise of sustainable development for the people of Nevis and the country as a whole. In the New Year, we will continue the long and hard struggle against crime and violence. Many of our families are still grieving over the loss of loved ones. We share your loss and mourn with you but in our fight against crime, we intend to measure success not simply on mere statistics but also on how safe you are and how safe you feel in your homes, in your workplace and in your communities. Too many of us bear the tragic memory of personal loss and too many of us are living in fear. As a Government, we find this unacceptable and in 2016, we will renew our commitment to remain vigilant in the fight against crime with all of the energy and resources that are necessary to combat this scourge. We are aware that we need to keep the pressure on in this New Year. We must never allow crime and anti-social behavior to defeat us, especially in an economy that is heavily dependent on tourism. We must provide a safe and tranquil environment for all Nevisians, for all of our residents and visitors alike. However, our fight against crime cannot succeed unless there is an amicable working relationship between the Police and the people in communities. The Police cannot solve crimes in isolation, they need you the people to provide useful information that can lead to arrests and convictions. Fighting crime in 2016, must not be seen solely as a Government issue or as a Police issue. On the contrary, it should be seen as an issue for all of us. Fellow Nevisians, fellow Citizens, as we begin a new leg in our journey together, I thank the Almighty God for sparing us from the ravages of major natural disasters during 2015. In 2016, I pray for his guidance for the Government and people in Nevis and I urge all of you my fellow citizens to let this year be a positive year for all of us. Let it be a year of unselfishness and sharing and caring one for another. Let it be a year when we resolve to be our brother’s keeper. Let us recognise that every challenge is a foundation for opportunity. Let us be a kinder gentler society. Let hope fill our hearts and minds and let us resolve to be courteous and make small but significant words such as “please”, “thank you” and “your welcome” part of our national conversation. Let us live together as one family with a shared destiny, shaping a brighter future for our country under the guidance and protection of God. Happy New Year and may God continue to grant us his rich blessings, his bountiful grace in the year ahead and beyond. Happy New Year to you all of you.